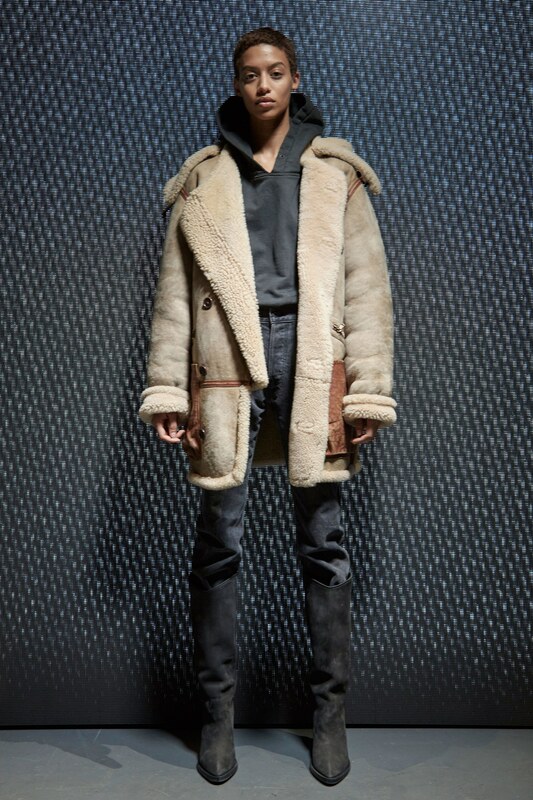 Kanye West premiered his fifth Yeezy collection in New York on Wednesday, February 15. The show was held at Pier 59 Studios featuring both mens and womens clothing in a 15-minute show. Vogue’s Anna Wintour was in attendance while Kim Kardashian took to the catwalk at the end of the show. Other models included Luka Sabat, 19-year-old Somali-American Halima Aden, Playboi Carti and more. Yeezy introduces denim this season and it was totally not just cool but edgy and knee-high boots in a way we haven’t seen in a while. Unlike September’s outdoor show that ran four hours late and saw models stumbling and even fainting, this time Kanye West was on his best behaviour at Yeezy Season 5 Show and the scenery was calm compared to previous shows and Yeezy Season Five also ran close to on time, Vogue reports. New Zealand model Georgia Fowler closed the show. The Auckland-born 24-year-old who is represented by N Model Management in New Zealand and IMG internationally has walked for Victoria’s Secret in Paris last year, and has been linked to both Harry Styles and Leonardo DiCaprio. She is fast becoming major player in the fashion world. Fowler wore high-waisted PVC jeans, a textured sweater and a shiny, over-sized anorak with white, pointed boots styled by ex-French Vogue editor Carine Roitfeld and had her makeup done by the legend herself, Pat McGrath. West’s show was more conventional than his past offerings, Vogue reports, and included denim and logos for the first time. We all know Kanye West doesn’t do well with anything small or predictable, the event was showcased at a familiar show venue but he rewrote the show formula, presenting his collection via giant live video projections before the models did a finale loop. Yeezy Season 5 was certainly a far better experience than squinting to see the clothes from the bleachers at Madison Square Garden a year ago.